Looking for new books? Check out my Books to Read in February. I managed to actually complete my Books To Read in January list before the end of the month and then some! The winter months are great for curling up with a book and a cup of tea (or wine…or whatever floats your boat). That’s about all the winter months are good for as far as this warm weather lover is concerned. Some people are skiing and snowboarding and enjoying the fact that the cold hurts their face—my dog is the prime example of this. No, he doesn’t ski, but to get him to come inside during the winter months requires begging and lots of treats. He LOVES the frozen air. Meanwhile, I’m dreaming of sandy beaches and margaritas on the back porch as I compile my list of the books to read in February. Two young girls in Brazil in the 1930s from very different worlds—one poor and orphaned, one rich and spoiled. Despite these obvious differences, they discover they have a shared passion for music. They become inseparable as children, and even more dependent on each other as they become adults, as the music that bonded them creates a rivalry. This is a saga of an intense friendship fueled by affection, envy, and pride–and each woman’s fear that she would be nothing without the other. 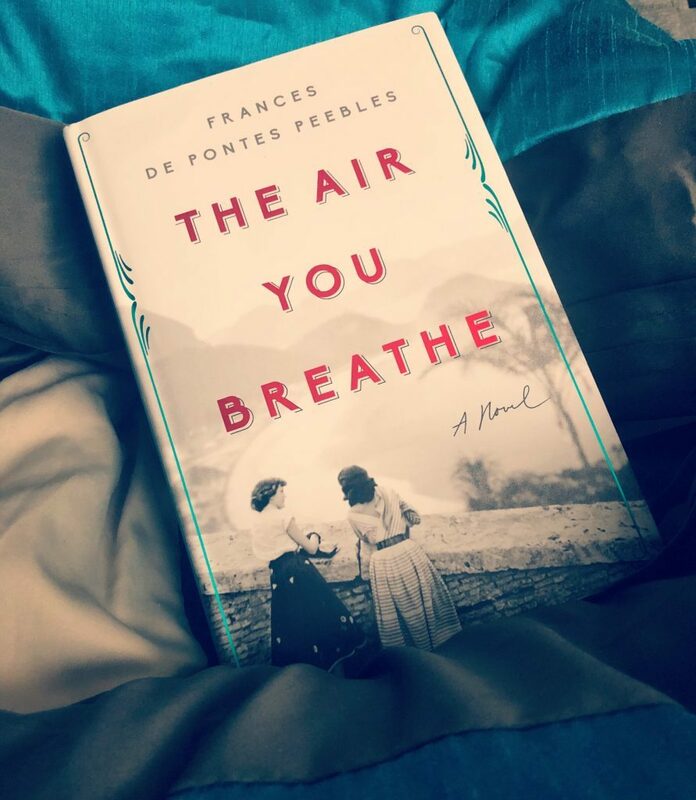 The first book on my books to be read in February list is The Air You Breathe. I won this book on Goodreads back over the summer (ahhh….summer) and it took awhile to receive the book, so I lost interest until now. Did you guys know you can enter to win books on Goodreads? I’ve won close to two dozen books; there are giveaways for physical books and Kindle books. I think their algorithms favor those who REVIEW books, so be sure to review the books you read on Goodreads. You can check out the giveaways here. I’ve read quite a few historical fiction novels over the last few years, but most have been set in WWII era. This is the first I have added to my books to read list that precedes that time period. I can’t wait to dive in and become immersed in a totally different world. Twenty years ago, two eleven-year-old boys were killed, their bodies dumped at a nearby dog racing track. The killer was brought to swift justice…or so everyone thought. Filmmaker Cody Swift has been haunted by that event for twenty years now…the two boys were his best friends. Doubts linger in his head about whether the right person was convicted. He begins to research the case, sharing his findings with the world via podcast, despite the fact that a lot of people don’t want the wounds of the case reopened. And then…a body is found in the same location. Are the two crimes connected? I know this is a strange choice of books…especially for me. My non-fiction novels are pretty limited to self-help/inspirational novels and biographies. The reason I chose this particular book to read is because a co-worker was telling me about listening to the Audible version. 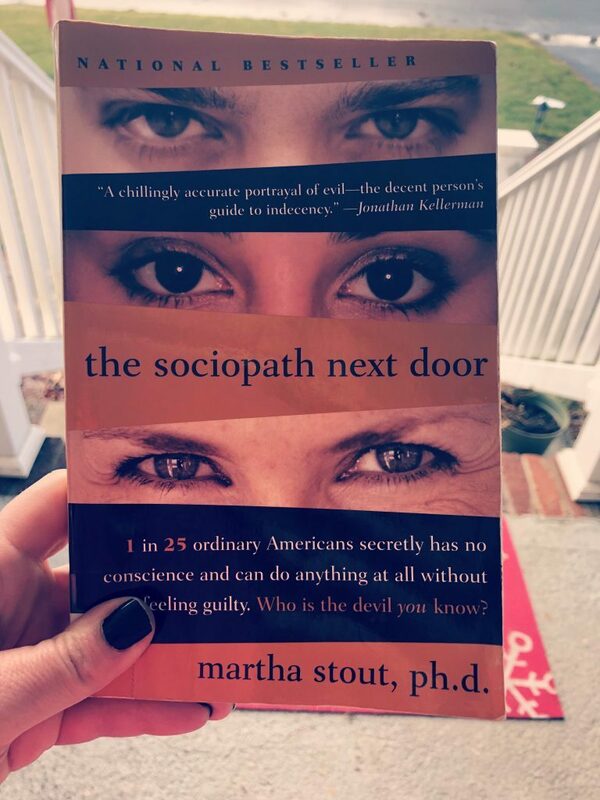 It sounded so intriguing, and also would make for great research for a book I am currently writing—about a sociopath that moves back to her childhood home and proceeds to wreck havoc on the life of the woman she bullied as a child. I’m going to be taking copious notes during this reading, I’m sure. Olivia Merrifield gets dumped for being fat and spirals into a depressed state where her best friend is cake. She’s surrounded by friends that are getting married and having babies…things she’ll never be able to do if she can’t find a boyfriend who’s NOT married. She decides to reinvent herself and go on a diet to change her life. That’s when she meets Cole, a gorgeous entrepreneur. And he would be perfect for her, too, but he’s grieving the death of his daughter while trying to set up a business. He may not be able to get his own life on track, let alone help Olivia with hers. Oh, and if that wasn’t enough?He owns a cupcake shop. 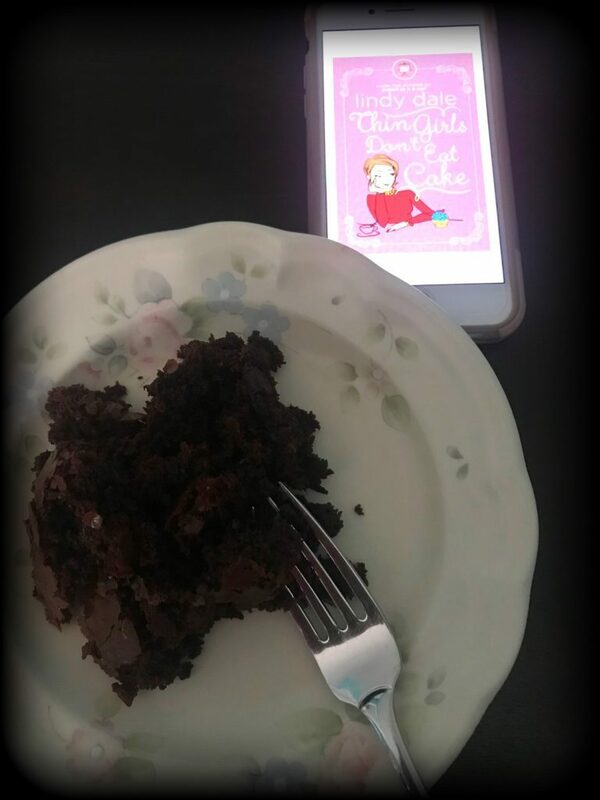 Thank goodness I’m not a thin girl—I LOVE cake! After three heavy books I’m pretty sure I can use a little levity. 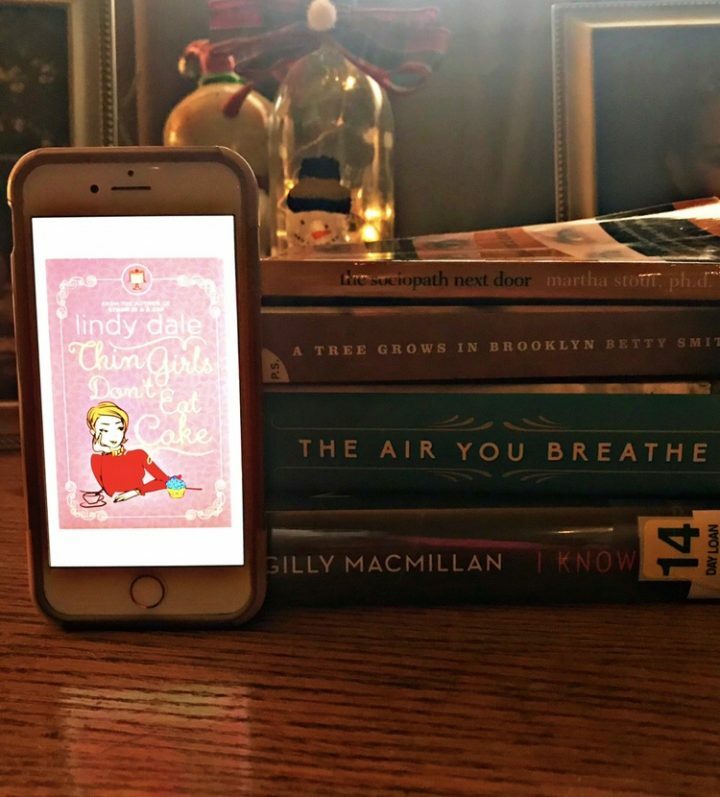 Lindy Dale is the perfect rom-com chick lit author for that. Her books are lighthearted, while tackling deep subjects. Her novel Storm In a B Cup dealt with the serious subject of breast cancer, while making the reader laugh out loud throughout the whole book. In 2014, I met Lindy through a Facebook group for authors and I am pleased to know such a genuine person. I can’t wait to read this one. I really wanted to add a Kindle book to my books to read in February challenge. Since I have a lot of trouble staying focused reading on my phone, I downloaded the Kindle app to my Chromebook. Keep your fingers crossed that it works for me. I feel like I am so limited in book selection by my Kindle resistance. There are so many great books available on Kindle. Hopefully, this year I’ll be able to read a lot more on the Kindle app on the Chromebook. 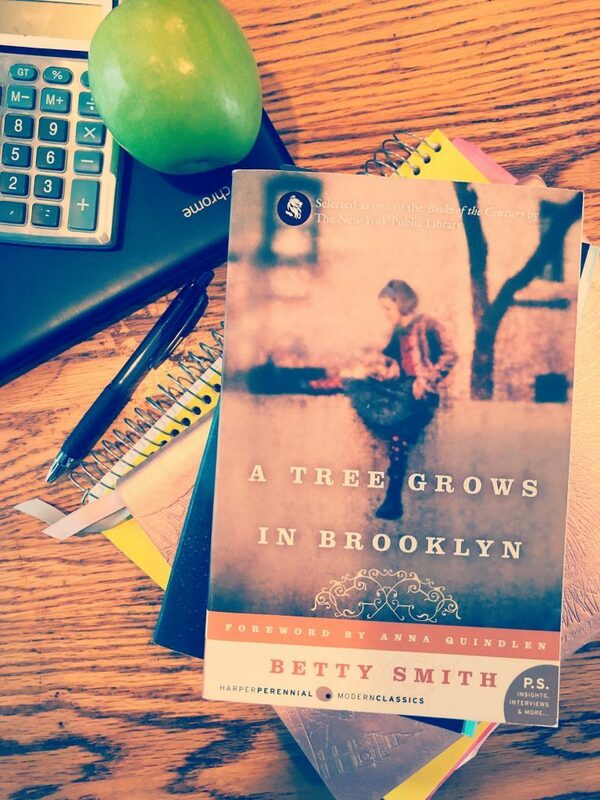 A beloved classic coming of age tale set at the turn of the 20th century in Brooklyn. This poignant and moving story of sensitive Francie Nolan during her adolescence is filled with compassion and cruelty, laughter and heartache, crowded with life and people and incident. The reader cannot help but be captivated by Francie’s tragic life, yet fierce determination. Okay, this is kind of a cheat book. I read this back when I was about Francie’s age at the beginning of the novel. I found myself appalled at the life she lived, yet inspired by her resoluteness and refusal to give up. This is definitely a must read for teenage girls—even though its setting is over a hundred years ago, the themes and experiences highlighted in the book can be applied today. I have wanted to reread this novel for quite some time, but I found the library’s copy was really falling apart, so I treated myself to a new one. 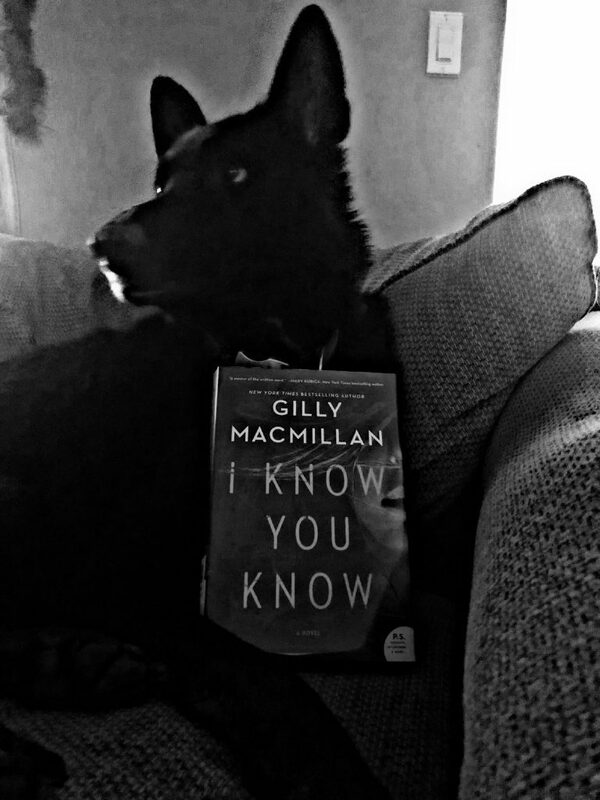 I’m looking forward to my Books to Read in February Challenge—I hope you are as well. What are YOU reading? Let me know what you’ve read and what you think! And I always need books to read in upcoming months! Visit my Facebook Page or my Goodreads account and leave comments with your suggestions! Stay WARM and COZY my friends!